A tomato connoisseur knows that heirloom tomatoes are usually the tastiest, juiciest and most oh-so-delicious ‘maters on the block. But there is a reason that we seldom see abundant displays of these tasty gems in stores: they are often harder to grow than hybrids and have a shorter shelf-life. They were grown for their amazing taste, but today’s market is demanding high-yield, disease-resistant crops. A hybrid is a cross between 2 varieties of tomatoes, generally one that is hardy with a high-yield and one that is delicate but delicious. The result: a very good, plentiful tomato. This is where GRAFTING comes in. Grafting, on the other hand, offers the best of both worlds, without compromise. It’s a grassroots movement using an old-fashioned, natural process that’s been used for well over a century with apple trees and other plants. In fact, grafting fruit and flowering trees has been done in China for over 4,000 years! Now it’s being done with tomatoes. The rootstock (the underground rooting portion) of a hardy, disease-resistant, high-yield tomato is fused with the scion (the top, fruit-producing section) of a tomato variety known for flavor and juiciness. 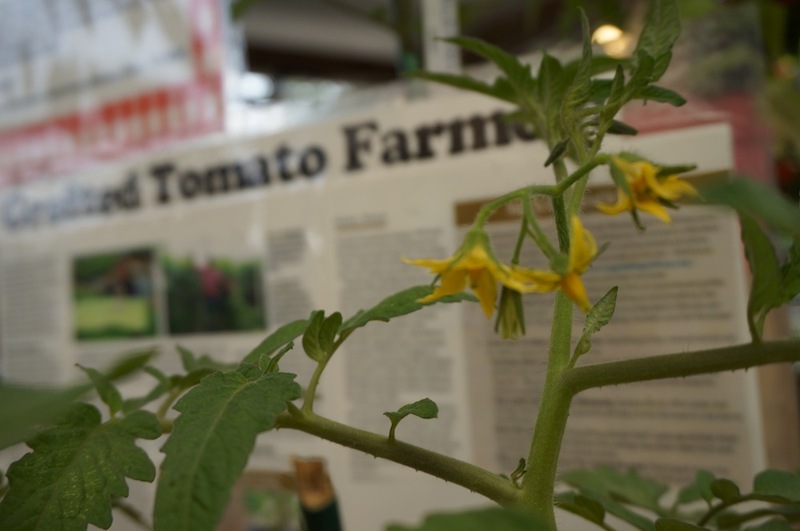 The result: a delicious tomato that has high-yields, grows vigorously and is disease resistant. So how exactly does one “graft” a tomato? It’s actually a very simple, natural process. The top, fruit-producing section of a delicious heirloom tomato variety is simply cut off its plant’s stalk and re-attached to the stalk and roots of a hardy, high-yield tomato plant. Nature automatically does the rest – the plant quickly heals, and then continues to thrive! The result: a classic, old-fashioned, delicious tomato that is naturally high-yielding, hardy, and vigorous. Results show an average increase in yield of 40%! Wolff’s will have many varieties of these grafted tomato plants, as a local farmer is growing 20 varieties exclusively for us this season! In contrast, you’ll find that most garden centers and nurseries will only have 6-10 varieties. We have chosen our favorites and the most popular varieties to be grafted. But it won’t end there! 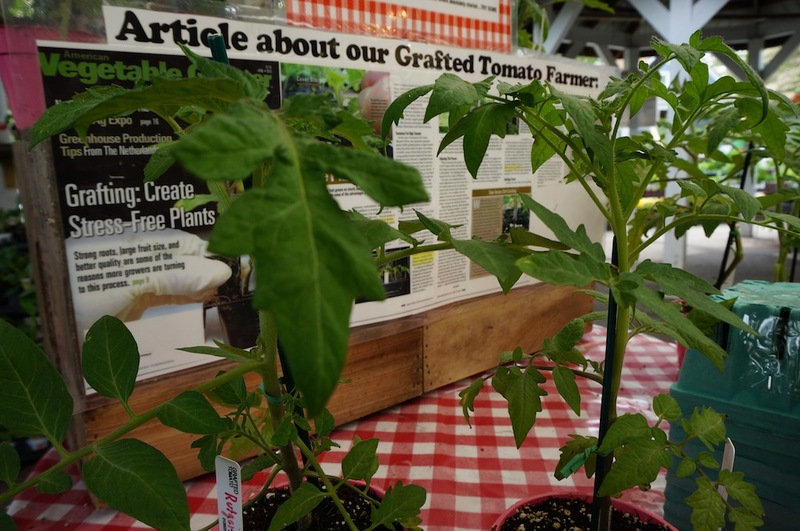 We will have our expansive, signature selection of tomato plants that have made us the place to go for creating the perfect vegetable garden!